Mushrooms are full of natural goodness. Packed full of antioxidants, essential vitamins and minerals, mushrooms are a great way to eat well. Mushrooms are a natural source of antioxidants and are one of the few non-animal sources of ergothioneine, an antioxidant which protects red blood cells. They’re also a source of selenium which works with vitamin E to help prevent the breakdown of body tissues. Did you know? Three international research papers have found that women who eat on average one mushroom a day have halve the risk of breast cancer. Mushrooms are a source of essential B vitamins. One portion (3.5oz / 100g) will give you more than a quarter of your daily vitamin requirements. Group B vitamins are important for the body to turn food into energy and help the body’s metabolism function. Did you know? Folate is a member of the B-vitamin family which is important for soon-to-be mums. It’s necessary for normal growth and development during pregnancy and can help to lower the risk of some birth defects. A serving of mushrooms has only 24 calories and are virtually fat free. This makes them a terrific addition to meal times, especially if you’re managing your weight. Did you know? Mushrooms have a high satiety value, which means they make you feel fuller for longer helping control those appetite pangs than encourage you to overeat. 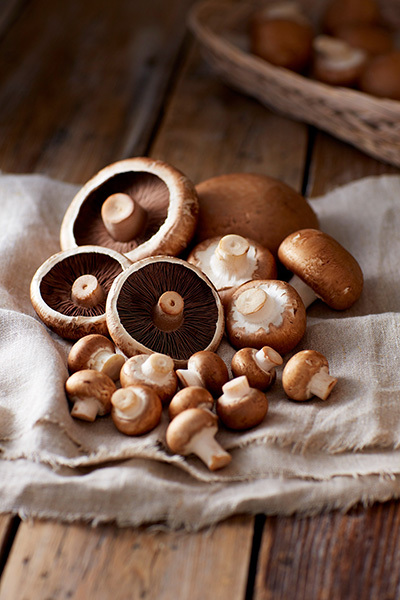 Mushrooms are a source of potassium and salt free which helps keep your blood pressure healthy. Did you know? 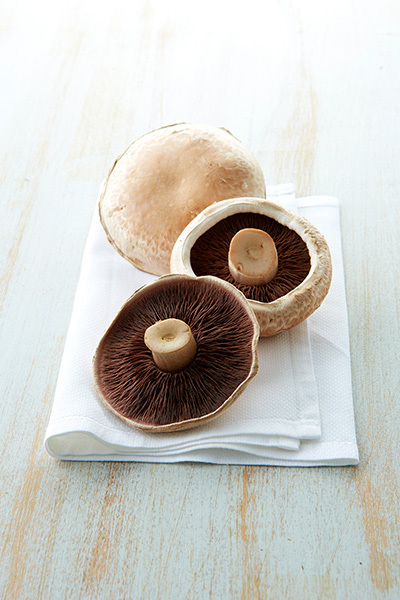 Mushrooms have a rich, savoury flavour is called ‘unami’ by the Japanese. It’s a natural flavour amplifier which means you won’t need to add salt when you add mushrooms to a meal.